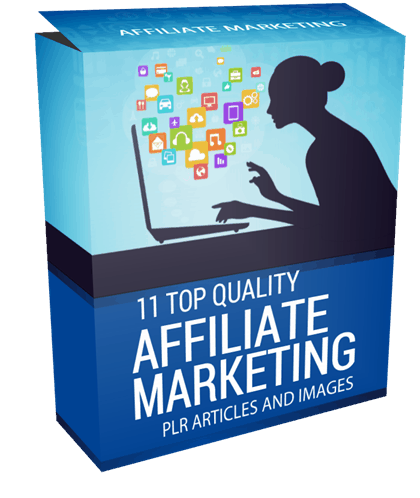 In this PLR Content Pack You’ll get 11 Top Quality Affiliate Marketing PLR Articles and Images with Private Label Rights to help you dominate the Affiliate Marketing market which is a highly profitable and in-demand niche. These Affiliate Marketing PLR articles are available in Text file format and can be downloaded instantly after purchase. What Can You Do This Affiliate Marketing PLR? The weeks are flying by. I hope you’re having as much fun reading as I am talking to you through these blog posts. Last week we talked about ad placement and this week we are going to talk about tracking clicks and sales and why it’s so important to do that. The truth is, no matter what you do on line, you should set goals, then study the numbers to ensure that you are reaching those goals. Because if you’re not, then you need to retool how you are doing things and come up with new strategies and tactics to reach your goals. The only way to truly do this is to check the click-throughs and check the numbers and see what products in what placement are giving you the sales. You can study clicks via your email account as well as via Google webmaster tools. You can also look at your numbers via your various affiliate accounts that you have with vendors. Each account will give you a different variation on the tools but all will allow you to see what ads are getting the clicks and which ones are making the sales. If you want really amp up your success it’s important to understand the numbers and know what you’re measuring against. You need to know how many people open your emails, how many people click the links in your emails, then how many people buy once they click through the links in your emails or other marketing material such as banner ads, newsletter ads, or contextual ads. Knowing this information will help you learn to make every aspect of your sales funnel work better. For instance, let’s say you have sent out an email marketing message. You have a 30 percent open rate, and a 20 percent click through rate, and then 2 percent are answering your call to action (CTA). A conversion rate of 2 percent may or may not be good in your industry. If you’ve set some goals in advance based on industry standards, which you can find out via research, then you can determine at what point in the process you need to improve. In this example, based on your research, you decide that the open rate is good, and the click through rate is good, but the 2 percent who are answering your CTA is low. 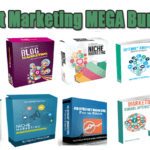 We will only be selling 50 copies on this Affiliate Marketing PLR content pack, so don’t waste any time and grab your PLR license while it’s still available for sale. You can add the articles or content to an ebook or product that you plan to sell or give away for individual use. You can use the content to build your email list. You can modify the content by removing, adding or otherwise editing to suit your needs. You can use the content on your websites, blogs, newsletters or anywhere you publish content. You can add your affiliate links, product links, Adsense and other ad code. You can bundle the content into a viral report, free ebook, product or bonus for your customers. You can charge for access to read this content. For example, a paid ebook, membership site or other paid access content. You can translate it into another language and resell with personal use rights. You can add the content as a autoresponder email series. 1 – You cannot give any type of resell rights to others. In other words, you can sell this stuff, but your customers can’t. Why? This protects all our members and helps ensure there is a consistent limit on the number of sellers of this PLR. We allow 100 members/sellers maximum. Period. 2 – You cannot submit any of the content provided by Buy Quality PLR to reprint article directories or other websites which accept reprint content even if you have edited or reworded the content. Why? Because many article directories won’t take PLR articles. If everyone started submitting similarly written articles to these directories it wouldn’t be fair for the directory owners, their users or our members. Be fair to everyone involved and don’t do it, even if you feel you’ve edited or reworded the article. This license is Non – Transferrable; meaning you cannot give these same rights away. If you want to sell rights to your customers; pay close attention to the license below. We closely monitor vendors that sell the product and take legal violations seriously. Violations will be obvious will be prosecuted under the DMCA federal law. You cannot give the product away for free, even to your list.